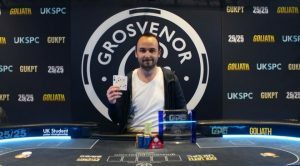 The last tournament of the 2018 Grosvenor UK Poker Tour (GUKPT) Grand Final – the Main Event of the series – has been brought to an end, with three players getting six-figure cash prizes. 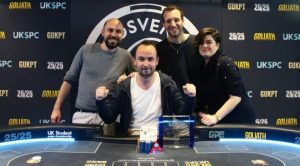 In the late hours of November 25th, Frenchman Jerome L’Hostis took down the GUKPT Grand Final Main Event after emerging on the first place in the ranking from a total entry field of 325 poker enthusiasts. 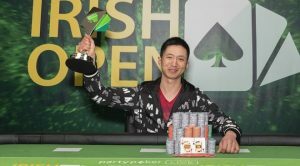 The French poker player Jerome L’Hostis got the event’s trophy, as well as the largest prize pool cash prize amounting to £140,445, after a three-way deal with his last three competitors. 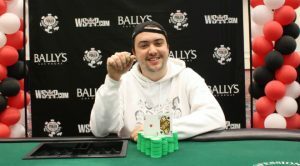 The victory brought the Frenchman his best live cash so far and helped him boost his all-time live winnings to $433,524. The three remaining players have agreed a deal!! 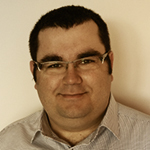 The victory of Jerome L’Hostis came after several days of intensive gameplay. The Main Event of the series’ Grand Final kicked off on November 18th and offered two starting flights, a buy-in of £2,140 and a massive guaranteed prize pool of £400,000. The Grosvenor UK Poker Tour will be back at the end of January 2019, when its Leg 1 will be hosted in The Poker Room. The final day of the Main Event saw only 20 players return to take their seats around the tables and tried to win the lion’s share of the prizepool. The players got eliminated one by one, until the dinner break when there were only three of them left around the final table. The last three competitors stopped the clock to discuss a possible deal and shortly after that agreed on one, under which Ben Morrison got £123,155, Jerome L’Hostis received £120,155 and Tamer Kamel received £110,000. The tournament’s trophy, as well as a £20,000 cash portion, remained for the winner. Only 25 minutes after the three-way deal was reached, Ben Morrison left the competition after a 5-million chip pot. 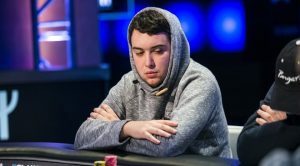 At the time when the heads-up play started, it was L’Hostis who got an almost 3 to 1 chip lead to his competitor, with a total of 6.2 million in chips against Kamel’s chip stack of 2 million. With Jerome L’Hostis emerging victorious from the 2018 GUKPT Grand Final Main Event and taking home the event’s trophy as well as the £140,445 lion’s share of the accumulated prize pool, Tamer Kamel remained on the runner-up position, bagging £110,000. The third place in the ranking, and respectively the third six-figure cash prize in the competition, amounting to £123,155 was taken by Ben Morrison, following a three-way deal. The fourth position in the ranking was occupied by Julien Sitbon, followed by Paul Barnes who got fifth. Ludo Geilich took the sixth place, while Carlos Sanchez Diaz and Matas Cimbolas got seventh and eighth, respectively. Tarjei Forus remained ninth and was awarded a £12,300 cash prize for his efforts.